Nakita Deberry founded Cleaning Associates Inc. in 2007. With over ten years of experience in the cleaning industry, she has become accustomed to the needs of: medical clinics, childcare facilities, fitness centers, residential properties, industrial sites, & restaurants. Her determination to learn as much as she can in the field has grated her great success & an ever growing clientele. 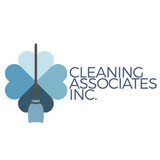 At Cleaning Associates Inc., our passion is providing your facility, whether big or small, the most superior service. Our goal is be a leader in providing environmental services for residential, commercial, industrial, professional and retail facilities. Our philosophy is that we serve each facility as a individual because no two businesses have the same needs. We are SBE certified by the city of Milwaukee and MBE certified by the state of Wisconsin. Our vision is to provide an immaculate environment for each client. 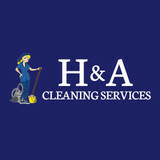 H&A Cleaning Services is an expert in house cleaning. Understanding how hard can be trying to keep your home in order during daily routine, we created a company that handles it in really professional way. Our cleaning services are based on your expectations – tell us how you want your home to be cleaned and we’ll adapt to this. 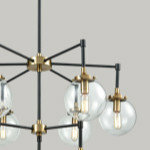 Every furniture and floors require professional products. 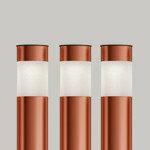 We have lots of them in our equipment and we pay a lot of attention to their appropriate use. It doesn’t matter if you need one-time home deep cleaning or regular routine cleaning. 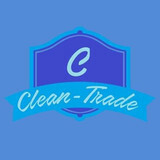 As reliable cleaning company, we are interested in both of them and what’s more, all these in really good price. 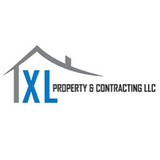 XL Property & Contracting is Wisconsin's premiere contracting firm that excels at jobs big or small. We specialize in exterior & interior remodeling, residential & commercial cleaning and property management. No job is to big and We are sure to leave a positive impression. Contact us today to schedule a free inspection and estimate!! We offer the best cleaning services in New Berlin! Give us a a call today to hear more about our services! Cleaning Club LLC is a professional, licensed and fully insured cleaning company. It means that your house or office will be covered for any possible damage or breakage that may occur. We are proud to provide excellent house cleaning services in Milwaukee County and surrounding areas. Cleaning Club LLC isn’t like any other service out there. We are a family owned and operated business, filled with highly energetic and motivated personnel. You will find our crew very customer oriented and pet friendly, making it a pleasing process for you. Our staff uses both green and regular cleaning supplies. Cleaning Club LLC provides different approaches considering each customer’s needs and preferences. Some customers, for instance, prefer not to deal with anything related with cleaning. For them, the company can provide all the supplies and equipment necessary for the house cleaning services. If the customer prefers, they can provide their own supplies. Contact us for more information about our residential cleaning packages. Beautiful Cleaning offers a full range of cleaning services including commercial contract, post construction and residential to our Commercial and Residential Clients and Contractors. Our work with our developers' and construction companies include Commercial and Residential building projects in Southeastern Wisconsin; projects have included locations in Madison and Chicago. Beautiful Cleaning also provides a full range of Specialty Projects including detailed corner to corner in depth cleaning, high level work, windows, carpet cleaning, and floor work. Our Specialty Projects work beautifies your environment for moving in or moving out, important meetings and special events at your building or your house. 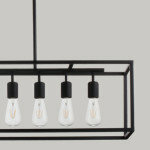 Awesome Service at Awesome Prices! Insured. Bonded. Cleaning Since 2003. We provide all cleaning supplies and equipment, if you have a special product you would like us to use just leave that out for us when we clean. The line of all natural, non-toxic cleaning products really work – products that not only out perform other natural cleaners, but chemical cleaners you’ve even tried before. All of our products are 100% readily biodegradable, pH neutral and free of any harsh or dangerous chemicals. Each product is specially formulated to effectively clean without harming you, your family or our environment! Our goal is to provide you with as little disruption to your normal routine as possible. Let us take care of the hassle of house cleaning so you have time to relax. Residential cleaning, it's what we do, its all we do! 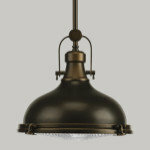 We are a small local company who can take the time that your home deserves. We provide weekly service, monthly service or anything in between. You can also give us a call for a special event one-time cleaning or a spring cleaning. Whatever your schedule needs, whatever frequency you desire, we can accommodate you! Single family homes, condos, apartments, no home is too large or small! After many years of success, the company was reorganized in 2009 as CHRIStal Clean to focus on residential cleaning. With 23+ years of success in the cleaning industry, CHRIStal Clean has the proven record of exceptional service and high customer satisfaction. CHRIStal Clean is looking forward to another successful 20+ years, providing your families with a clean, fresh home that you can be proud of! CHRIStal Clean strives to provide the customer with reliable, thorough cleaning, with 100% satisfaction using the best residential products and equipment available. We accomplish this by employing dedicated, dependable, hard working, motivated individuals who are trained using the best techniques and products in the industry. Team Clean Supreme is a family owned cleaning service company and that is the reason why we care about you and your family.We offer personalized maid services, experienced housekeepers and flexible schedules. Choose Team Clean Supreme services for your house cleaning service, maid service, office cleaning and housekeeping services. Our professional, friendly and efficient maids are available for cleaning service on a one-time, or ongoing basis for your house, office, home or condo. We also specialize in move out cleaning, move in cleanings, construction Cleaning, Office cleaning and more. We are a growth-oriented cleaning services company striving hard to provide the best cleaning services to the complete satisfaction of our customers.This way we are able to ensure that the service you receive from us is as you expect from us.The success of top notch cleaning service lies in attending to and taking care of minute details and we take care of them and organize your house or business as per any wishes you may have for cleaning. We want your business only if we can earn your business. If you’re ready for spotless results, call the cleaning business with a spotless reputation. Team Clean Supreme services is a cleaning company whose employees are specially trained in the most modern and effective house & office cleaning techniques. Our professionals are also trained in product usage and safety procedures. We work diligently to ensure that all cleaning service plan specs are performed to the highest industry standards. What should I expect from a house cleaner in Muskego, WI? Most professional Muskego house cleaning services will do the same tasks for a basic residential cleaning job: clearing dust and cobwebs from all surfaces and fixtures; wiping all surfaces, including sinks, tubs, counters mirrors; cleaning tile; vacuuming and mopping. You may want to have different rooms detailed at different times, so ask about doing a rotating schedule if you want them to pay extra attention to each space (like kitchens and bathrooms) every other cleaning. Some house cleaning companies in Muskego, WI will also offer additional services such as window washing or appliance cleaning, so ask about incorporating them into your deal or doing them as a one time thing if you’re interested. Pick up any clutter (laundry, toys and other gadgets) and put pets in a secure spot so they feel safe and don’t get in the way of the Muskego house cleaning company. Put out any specific cleaning products or tools you want used, and make sure to lock up any valuables that you don’t want disturbed. Most housekeeping services in Muskego, WI will enter with a spare key or garage code, but if that isn’t something you’re comfortable with then you should arrange for them to come when you are home to let them in. Typically Muskego house cleaners expect payment at the time of cleaning, so ensure you have the appropriate form of payment (cash, check or credit card) on hand, plus a little extra for tip if that’s your style and they do a great job. Find Muskego house cleaning services on Houzz. Narrow your search in the Professionals section of the website to house cleaners in Muskego, WI and contact local companies to ask questions and get quotes.